Click Here to visit official site. Meet the cast and crew after the movie! From writer-director Butch Maier comes this family-friendly comedy shot in Norfolk, Portsmouth and Virginia Beach. Ben Wilson (Lamont Ferguson) is a good man in a bad situation. 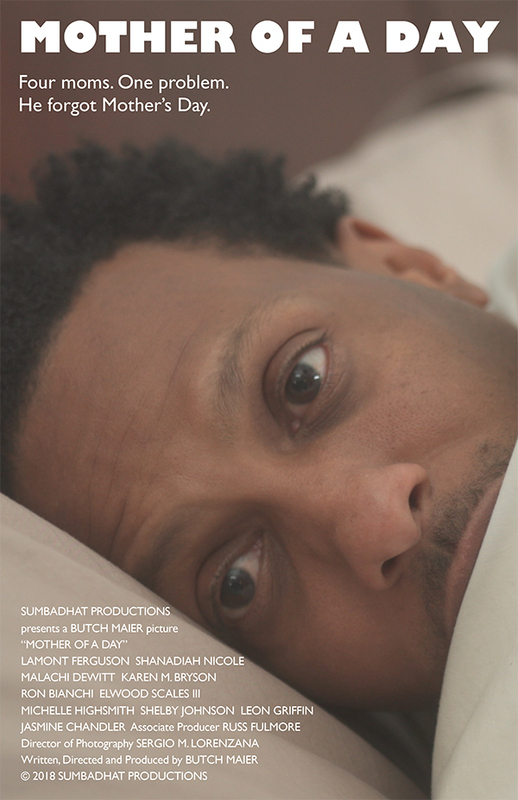 He has one hour to sneak out of his house and find gifts for the four moms in his life – wife Mary (Shanadiah Nicole), daughter Abby (Jasmine Chandler), mama Ruth (Michelle Highsmith) and mother-in-law Mother Dunbar (Karen M. Bryson) – or face their wrath. Back at the house, Anthony (Malachi DeWitt) imitates Ben to cover for his dad. To complicate matters, Ben keeps running into two policemen (Ron Bianchi and Elwood Scales III) at the wrong times … and he’s running out of time! Also starring Shelby Johnson and Leon Griffin. Featuring Francis McDonald, Steven Hall, Sebastian Chandler, Mark Jenkins and Safia Begum Fudala.